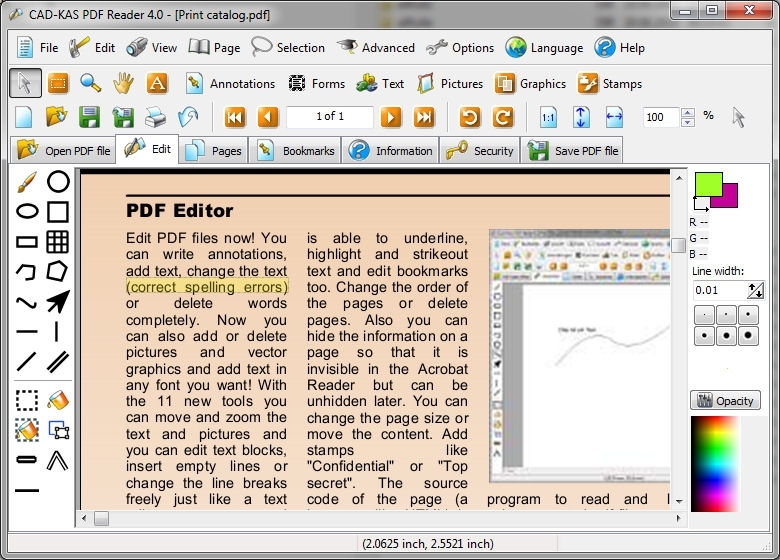 PDF Reader is a free program to view modify and print pdf files. It is very small only about 4 MByte to download. You can open view zoom and print PDF files. You can also modify pdf files (but you can not save them in the free version). You can add change and delete text and pictures and print it out. The program can decrypt and view pdf files with an owner password. 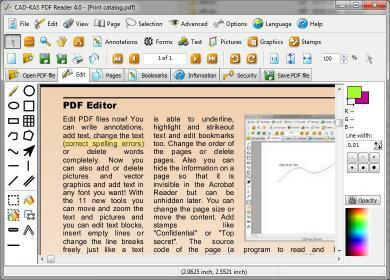 With the program you can also add annotations to the pdf file. You can even edit the text of scanned documents with the build in Scanned Text Editor.